I am writing this review after using this card for 2 months. I applied for this card through CK link which offered $200 signup bonus. PNC online process was quick and they approved immediately and informed credit limit as 15k. When I applied, my Experian score was 792 from the communication I received from PNC. I am also having PNC bank account for past 9 yrs and i live in EAST where PNC has large presence. This might have added advantage when they approved it. Sign-up bonus : I received $200 sign-up bonus after 2 billing cycle as Statement credit. Not as Reward Cashback. Typically they take upto 3 billing cycles from the time you meet the eligiblity. You can follow-up and ask for your status. No Annual fee. But there is 3% Foregin transaction fee. So far my experience was great and customer serivce was helpful on every occassion. I applied for this card through the credit karma app. I have a 766 credit score and I’m used to being approved within a day of applying for a card. After a couple of days I got a call from PNC where they asked for all of the info that was in my application, and they said they were having trouble verifying my age. They told me to fax a copy of my drivers license. I thought this was strange, but I faxed it. I called back after 3 days to get a status on my application. I was told it was still processing. I asked if this was normal to take so long and the person said yes. After 10 days of checking my email, spam, and texts, I called again, and I was told that I had been approved. I asked if it was normal to not notify applicants of a status change via email. I didn’t get an answer, but the person on the line apologized. When the card arrived a few days later, I called the number on the card to activate it. I also tried to enroll in PNC online as described in the packet that came with the card. I was unable to enroll because I didn’t have a PNC online access PIN. I called the PNC help number again, and there was no option on the computer system to obtain an online access PIN. After the computer system asked me for my SSN for the 5th time for some reason, I finally talked to a human. She told me that you have to call to obtain the online access PIN. It would be nice if that info was in the packet that came with the card. She generated a pin and told me I have to use it within 15 minutes. I tried to use it immediately but discovered that the PNC app is extremely glitchy. As I filled in one field, another field would go blank or the info would move from one box to another. The person on the phone asked if I was using the app and I told her I was. She then told me to use the PNC website. I tried to use the website to enroll, but this was also glitchy. I had to wait a second or 2 after each digit I typed for it to appear on the screen. After finally filling in the required info, the system said I entered it incorrectly. I verified the info line by line and tried to enter it again with the same result. I was then told a PIN would be mailed to me. Why wasn’t it mailed to start with? I’m patiently waiting now with very low expectations. Onlike most financial insitutions based in the 21st century. There is no way to set up an online account without first getting a pin "mailed" to you several weeks after you get your card. I still haven't figured out how to set up auto-pay. Perhaps it doesn't exist. You mean the PIN wasn't mailed with the card or included with the account approval letter/email? In my experience (described below), it was not. I had to call them (which is a nightmare - their phone system is for banking customers, and it's like they don't realize they have credit card customers; plus, it's a giant pain to navigate the automated system, since that's ALSO set up ONLY for banking customers, and it repeatedly demands the online banking PIN that you're calling to actually get) and they said it would come 1-2 weeks after receiving the card. Mine came 2 weeks after receiving the card. I've had Amex, Cap One, Barclays, BoA, Chase cards - excellent credit - and never, ever, ever anything like this experience of needing a PIN to access an app and set up payment. PNC is meant for personal banking members, plain and simple. Avoid. If you visit a branch they set it up for you in 2 minutes. Perfect! I live 30 miles from a branch. So convenient. I have seen some bad reviews regarding customer service for this card and thought i would add my two cents. I have noticed the bad reviews come from non-pnc account holders which seems to be where the issues arise. Ipersonally had no problem activating my card and setting up online payment. I am also a pnc account holder, so it took about ten minutes or less to connect my card to my online banking app. Its super easy and convinient to use and manage. Perhaps pnc needs to work out the bugs for anyone who doesnt have a pnc account and this card would be much more attractive. But for me the process was flawless from approval to activation, 5 stars. The card itself is fine. If you want to pay using paper and stamps, it's fine. If you want mobile access, there's an app, but you have to wait 2 weeks after you receive the card to have PNC mail you an "online banking PIN" in order to be able to set up the app. Once you set up mobile access, you still can't pay using the app, because you need to go set up some additional PNC online banking thing, rather than being able to add in your existing non-PNC bank account like EVERY OTHER CREDIT CARD APP OUT THERE. Instead of being able to do that easily, you must call PNC bank, navigate their entirely terrible automated line, and then be told by a real person, "Oh, you called the number that the pop-up on the Website told you to call in order to solve this issue? I'm sorry, I work with personal banking accounts and can't help with that - I have to transfer you to the credit card division." And you end up back at the beginning of the automated maze. When you get to someone else, they demand to know details about your loan with PNC, despite you calling about the credit card and not having your loan information available. It was at that point I asked to be transferred to someone who could help with cancelling the credit card. And that's what I did, explaining that this is the worst credit card experience I've ever had in JUST. TRYING. TO. PAY. THE. CARD. Again, the card itself is fine. If you never plan to call them (tip: NEVER PLAN TO CALL THEM), and you never plan to have full mobile/online access to your account, and if you like doing the whole paper and stamp thing every month, this card is for you. If you like neverending exercises in frustration with customer service and having to jump through numerous hoops JUST TO HAVE THE ABILITY TO PAY VIA AN APP, this card is for you. Otherwise, protect your blood pressure and skip this card and avoid PNC Bank at all costs. 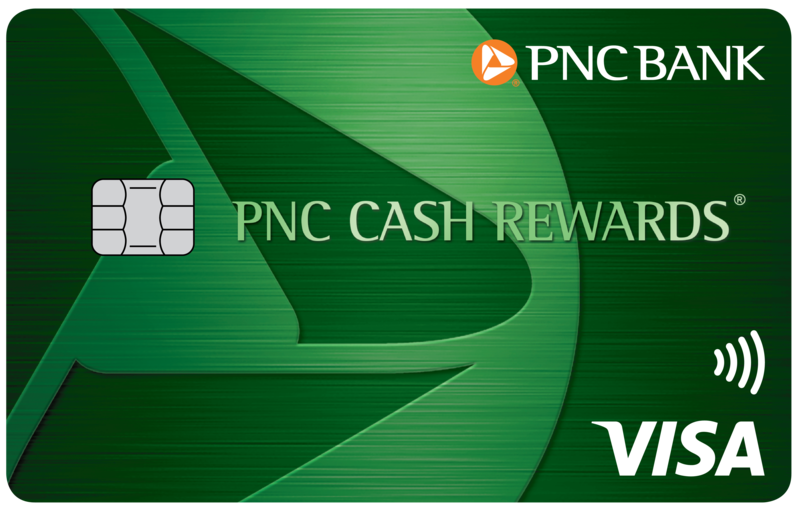 In areas where there's a PNC back, I bet you could go and make an in-person payment until the PIN or whatever's needed arrives. Other credit card issuers has a rule that one MUST wait 30 days to add a bank for online payment. AMEX done that to me, no problem, I didn't use the account for a month. No, they told me I must have a PNC personal banking account to pay through the app. Ridiculous. PNC is the worst, even when I went through them set up a loan (can't do auto pay, can't do online banking, have to paper/stamp it or drive 30 miles to a branch). I live in 2019 and am not going to a bank each month to pay off a card lol. I did not run away and they did not destroy my credit. Had card for 2 years. Hmmmmm. GREAT CARD FOR REWARDS FOR YOU GASOLINE NEEDS. Their system seems entirely antiquated. I won't even go into the application process (very similar to another review on this site). I never receiped my PIN so I couldn't log on to my account. I called customer service (typicaly hold time to talk to someone is around 15 mins, FYI) and was told it had been mailed. I explained I never received it. She said she'd mail another one. I asked if I could set one up over the phone and she said no. Had to wait 5-7 business days for PIN to arrive in mail. I waited and it finally came. Wen to create online account - PIN did not work. Called customer service again. Waited 15 mins to talk to someone... again. She explained that I was sent the wrong kind of PIN. Was sent a cash advance PIN. Absolutely no use to me. Was told I would be mailed another one. They said they could not issue it over the phone. So I wait another 5-7 business days. Receive new PIN. DOES NOT WORK. Called customer service AGAIN. Wait 10-15 mins to talk to a human AGAIN. Guess what! Was sent the wrong kind of PIN again! This time a "credit card PIN" (which is for use in foreign countries.) They are mailing me a new one. Must wait another 5-7 business days. Was told by customer service they would make a note of my complaint in my file. So guess what happens today? I get a recorded call from collections saying I'm past due and owe a $27 late fee! Infuriated, I call and explain everything to them - I have not been able to access my online account or view any transactions or due dates because of their screw up. Also, there was no note in my file from past conversations with customer service, like I was told their would be. Had to transfer me to someone else (another 5-10 minute wait.) So I explain to everything AGAIN to that person. They say "OK we will waive the late fee and I can give you the PIN over the phone." What???? Why couldn't I do that a month ago and avoid all of this nonsense? THIS CARD IS NOT RECOMMENDED. You could have paid over the phone and explained that your account access is not working and avoided the fee. I had no problem getting online. So not everyone has the same issues. I don't remember even needing a PIN, just a login. Wow!! Thanks for the input. I got anxiety just reading your story. Not even gonna bother. Sounds like a customer service issue more than a problem with the card. I have the card. No issue. Thanks for the feedback. Their customer service sounds atrocious! I spent $1200 within the first month and have waited several weeks after. My welcome bonus had not been issued. So I called customer service but received no reassurance and no one there can figure out what's going on. It looks like my welcome bonus might not be issued and I'm deeply dissapointed. I don't recommend this card at all.